African-American family historians face unique challenges in tracing their familial roots. There are definitely exceptions, but most Af-Am genealogists quickly face a challenge when their tree tracing reaches ancestors born in the 1800s. While it can be frustrating, initially, to only be able to go back 3 or 4 generations, I love a good challenge, a puzzle, a mystery. And that is exactly what I have with my tree. There is not one branch of my tree that has not (temporarily) dead-ended at 1863....until now! The records were intriguing, but because I couldn't make any definitive determinations, I set them aside for future connections. 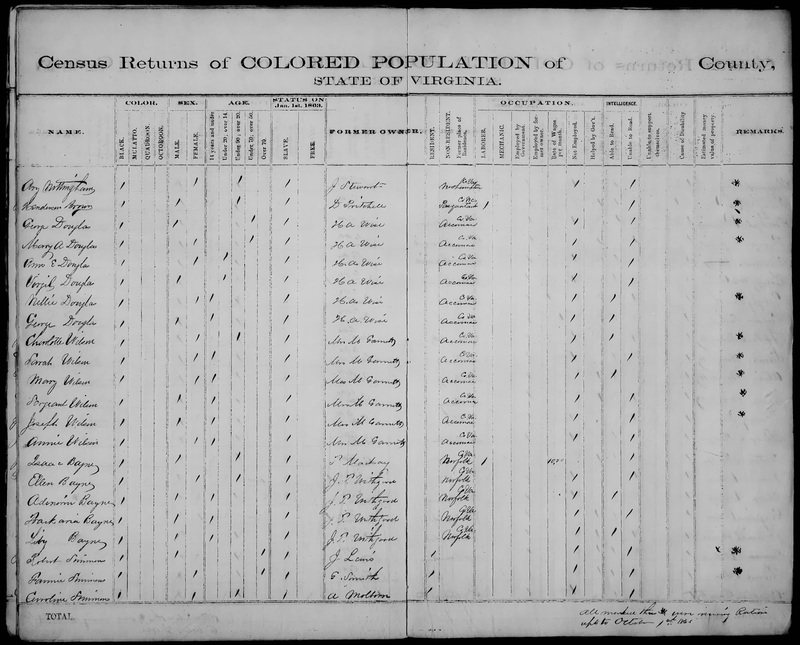 It is an undated census of the "Colored Population" of Princess Anne County, Virginia. (wow, who knew!) While it is undated, there is a column with the heading: "Status on January 1, 1863". From that, we can at least assume that the census was taken some time after 1/1/1863 (Emancipation Day). 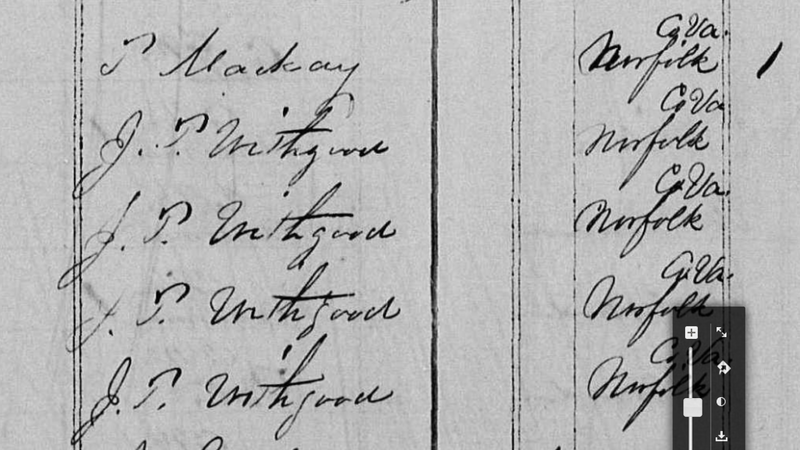 The amazing thing is that I found my entire (at the time) g-g-g grandfather's family listed together on the census! -- Issac, Ellen, Adoniram, Zachariah (my g-g grandfather!) and Levi Bains (Baynes). But it gets better. 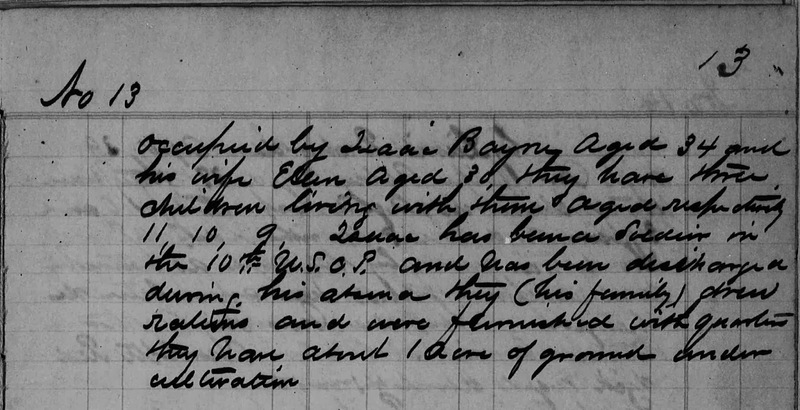 I suspected that Isaac had been born into slavery because of a notation in his Civil War Service Record (more on that later). But I didn't know for sure. Well this particular census provided not only individual resident names, but the name and location of the individuals' former "owners"! For those who aren't Af-Am family historians, getting past the 1860s brick wall usually requires the identification of an ancestor's former "owner" and then, using that information, trying to glean information about your ancestor through the slave holder's records. A challenge, indeed. But unless you find your ancestors in the 1870 census living next door to a white family with the same surname, finding the former slave holder can require a bit of luck/fortune/divine intervention. And that's what I got! The first name is the holder of Isaac. Is it T. Mackay? P. Makay? T. Mckoy? T. Mckay? UGH! But it gets worse. Is the next name (holder of Ellen and the children) J.T. Withgood? J.P. Withgood? E.T. [something]good??? I tried searching in Norfolk County, VA for any Withgoods....nothing. I tried searching the entire country for any Withgoods....nothing. I then got smart and searched for *good in Norfolk....and I found a John T. Bidgood, living in Norfolk County in 1860 with his wife (Rebecca-30), sons (Tully-19, Willis-18, William-13, James-11, Thomas-9 and baby boy-2mos) and daughters (Margaret-16, Mary-10), who was a significant slaveholder. Could this be him? P.S. Thanks to all my AAGSAR tribe members for all of the help trying to decipher this! I know that the entry above looks nothing like Bidgood, but who knows, it could have been a transcription error, a misspelling, a pronunciation issue. But because the "good" portion of the name seems so clear, and that being an easy word to spell, the odds were...well good... that the name had that at the end. And J.T. Bidgood was the only possible candidate that I found. I don't know. Not sure where this gets me, but it's a start/a clue. And I believe more clues will surface. But the evening wasn't all in vain. After getting stymied by the search for J.T. ?-good, I wound up back on Nadia Orton's blog - Sacred Ground, Sacred History. She is a "professional genealogist and family historian. 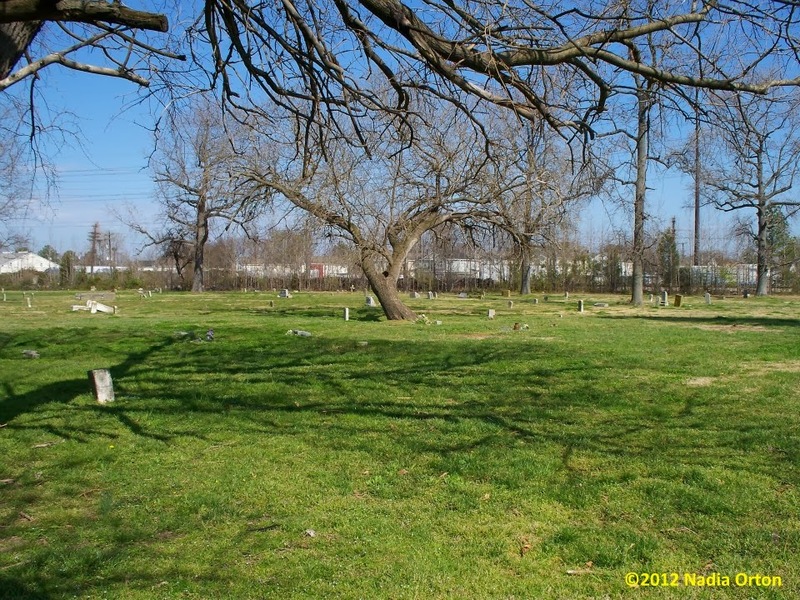 Researching and documenting the African-American historic cemeteries of Tidewater, VA, North Carolina, Maryland, and Georgia." Her Facebook pages -- African American Cemeteries of Tidewater Virginia and North Carolina and African American Historic Cemeteries of Portsmouth, Va. -- are an incredible resource of information and have some of the most amazing pictures of cemeteries and gravestones in Portsmouth and other areas of Virginia and North Carolina. More on that (hopefully) coming soon!